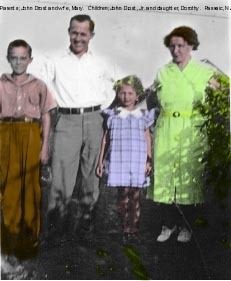 Comments: John A. Drost (Nee: Drost) | Passaic NJ USA | 1921-1940 | Comments: Parents John and Mary Drost; children are John A. Drost and sister, Dorothy. They owned a chicken farm in Passaic. Dorothy later married a mobster who was murdered.